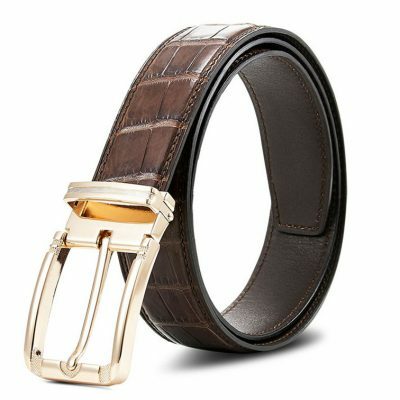 Buy luxury handmade leather belts, leather belts, cowboy belts, western belts, crocodile belts, alligator belts at VANGOSEDUN. 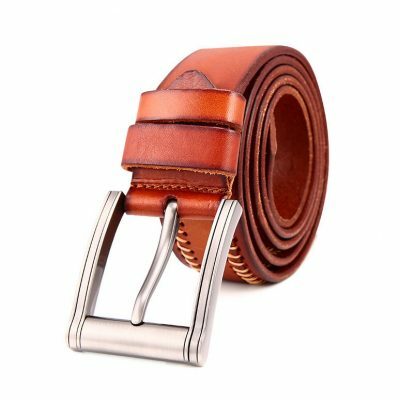 All leather belts are for free shipping. 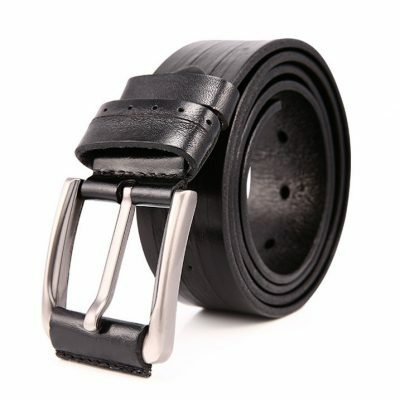 We only offer high-quality and high-end handmade leather belts to our consumers. Leather belts are one of those men’s accessories that were once purely utilitarian, but now have become a finishing touch. It’s not as though you’re depending on your leather belt to keep your trousers securely up, but you are depending on your leather belt to refine your appearance. The belt is a flexible band or strap, usually made of leather or canvas, it is about holding your pants up and tying together the upper and lower half of your outfit. 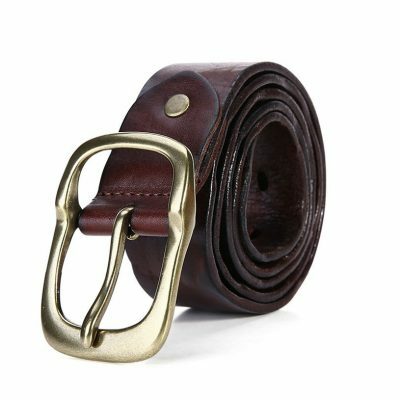 We offer a variety of leather belts ranging from brown or black belts to embossed belts, painted belts, cowboy belts, western belts, casual belts, crocodile belts and more. All of our belts are made from 100% heavy duty top grain tooling leather. We never use composite, bonded or glued leathers in our products. so you can be sure your VANGOSEDUN leather belt will last for years to come! We offer many options of colors, styles, textures and leathers. 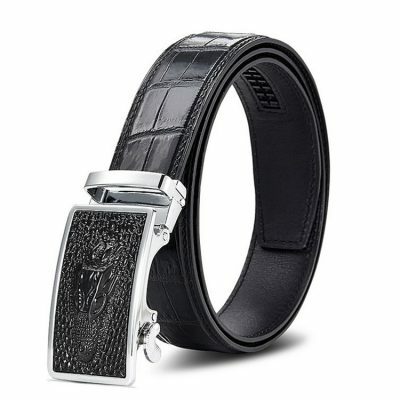 Leather types include crocodile, alligator, calfskin. We are proud to be able to offer these genuine crocodile and alligator leather products at these unbeatable prices due to our direct purchasing from The Crocodile Farm (Thailand). The Crocodile farm has been registered as a member of Crocodile and Ostrich Cooperative of Thailand (COCOT) and joined the Crocodile Specialists Group (CSG). The Farm, therefore, has received a permission from Convention on International Trade in Endangered Species of Wild Fauna and Flora (CITES) to trade crocodile products to global market. Most of the leather belts on the market are produced by machines or mechanical devices. This way of production cannot deliver diligent attention to the details, but is certainly the most effective way to produce the items that do the job. Some of the high-end brands create their leather belts handmade and so do we. To ensure our leather belts with the best quality and best performance, we arranged some very experienced leather craftsmen in our production line. Hope that every handmade leather belts can be a beautiful work of art, which can stand the test of time. We want your VANGOSEDUN leather belts to be a part of your life’s narrative, becoming a trusty companion each step of the way. 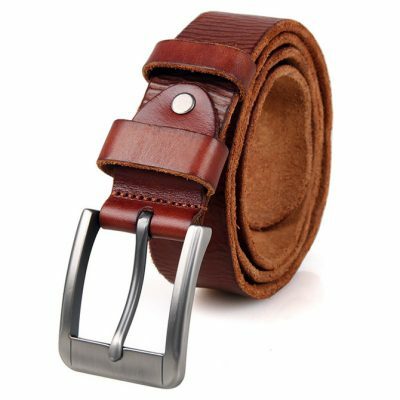 Leather Belt Size: First things first, you are going to need to appreciate that knowing your leather belt size is integral. 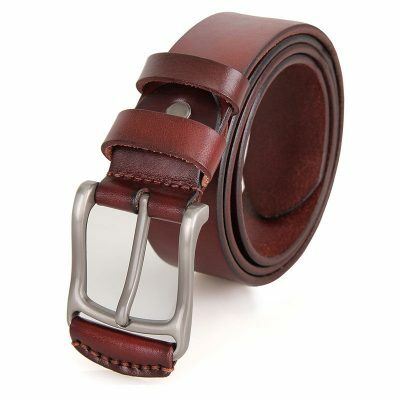 As obvious as it sounds, ensures you go for leather belts that are not overly long and certainly not too short. After you try on a leather belt, you should have a few inches left to push through your remaining loop, keeping things aligned and cinched appropriately. 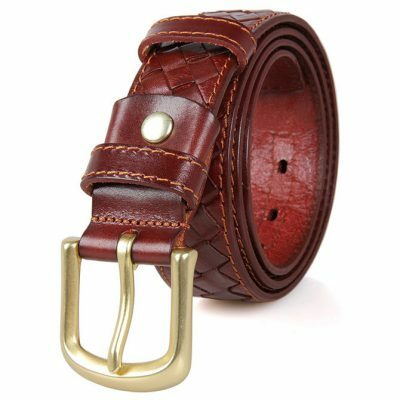 The general rule of thumb is to buy a leather belt that is 2 to 3 inches larger than a waistline. 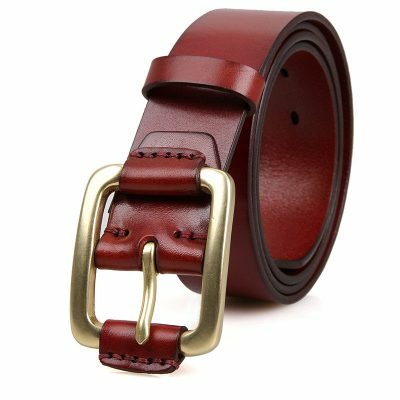 Leather Belt Materials: The belts on the market are commonly made from pig skin, sheep skin, crocodile skin, cowhide and recreational canvas. Because different materials have different production processing, all kinds of belts will demonstrate various styles. Pig skin and sheep skin will be softer after peeling off and layering; Cowhide gives a feeling of a tough and stiff body; A higher class choice is crocodile skin. Textures make belts more charming and special. Everyone has their own fashion choice. Some prefer the casual, laid back look as their style, while some go for the classy, formal approach. Whatever your style, you want to make sure that you keep it consistent; so your leather belt must absolutely match your fashion orientation. 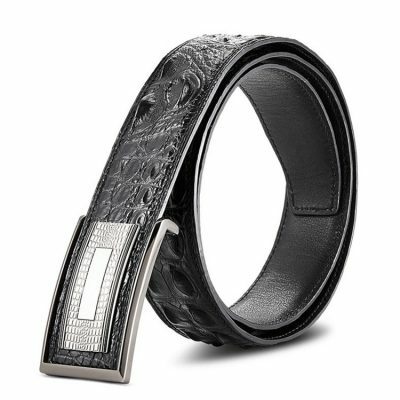 Leather Belt Buckles: No matter what the material or the design of the leather belt, it is the buckle that remains prominent to onlookers. There are many different types of buckles to choose from but all buckles are either the conventional tongue type buckles or plain metallic buckles with a hook. 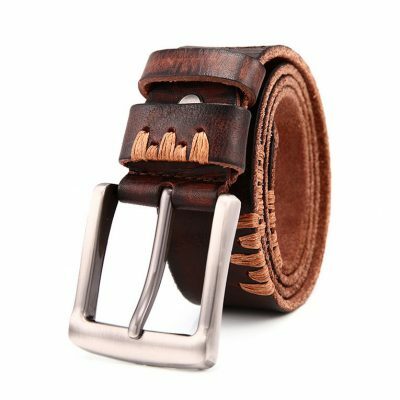 When purchasing a leather belt, you should check the leather belt buckle to be sure it is a solid weight, and that it is the correct size for the leather belt. Buckles that are too bulky or not bulky enough, or which are not long enough can cause problems when buckling the belt and wearing it comfortably. 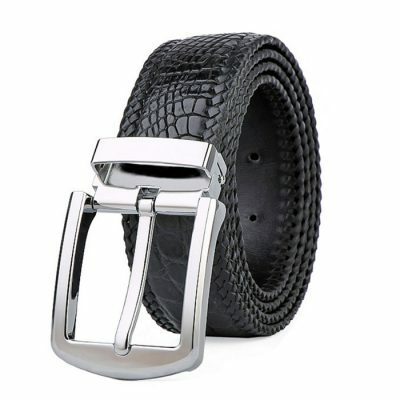 Hot Sale: leather belts, handmade leather belts, western belts, cowboy belts, crocodile belts, alligator belts, luxury belts, men’s western belts, women’s western belts, black leather belts, brown leather belts, men’s leather belts, dress belts, casual belts, genuine crocodile belts, leather belts online.